Health committee member Kate O’Connell said that an opportunity was lost to make cannabis a medical product. A REPORT FROM the Health Committee has recommended that a bill which aimed to regulate cannabis use for medicinal purposes should not proceed to committee stage. The Cannabis for Medicinal Use Regulation Bill 2016 was tabled by Gino Kenny, was allowed to pass to committee stage last winter after Minister for Health Simon Harris announced the government wouldn’t oppose it. 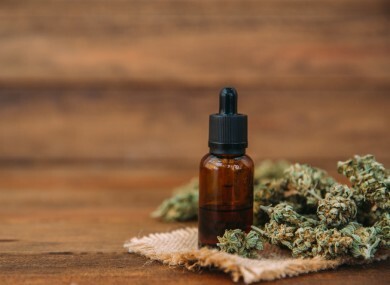 Among the changes, the Bill recommended establishing a Cannabis Regulatory Authority to regulate the sale of medicinal cannabis. Health Committee member and Fine Gael TD for Dublin Bay South, Kate O’Connell, said there was already an established medicine regulatory authority – Health Products Regulatory Authority (HPRA). Scrutiny of the Bill uncovered major legal issues, the committee said, a well as unintended policy consequences and a lack of safeguards against harmful use of cannabis by patients. “There are no references in the Bill regarding the medical indications for cannabis certification by a doctor,” O’Connell added. While the Committee said it appreciated the aim of the Bill, which claimed to be about alleviating suffering, aspects of the Bill caused them huge concern as to how it would be implemented in a careful way. The Committee members found the Bill to be “as much about decriminalising the use of cannabis as it is about promoting it for medicinal use”. O’Connell said: “When we authorise medicines we need to make sure they are of a high quality, are safe and are effective – and that their effects are measurable and quantifiable. As such, you could say that this was an opportunity lost to make cannabis widely available as a medicinal product. “Cannabis has many psychoactive effects which are potentially harmful… Our primary role as legislators is to safeguard the public. I believe today’s report does just that,” O’Connell said. Email “Bill to legalise medicinal cannabis shouldn't be passed - health committee”. Feedback on “Bill to legalise medicinal cannabis shouldn't be passed - health committee”.